This is to inform the the general public and most especially the 2017/2018 Graduands of the University of Ilorin (UNILORIN) that the 33rd Convocation Ceremonies of the University for the awards of First and Higher Degrees, Diplomas, Certificates, and Presentation of Prizes, will commence on Friday, 12th October, 2018 and end on Sunday, 28th October, 2018. 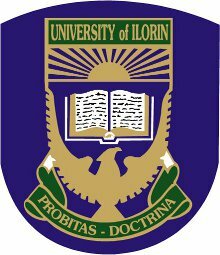 Read Also: University of Ilorin (UNILORIN) Notice to Graduands on 34th Convocation Ceremony. UNILORIN Convocation Ceremony Programme of Events. (a) Event: Convocation Ceremony — Award of Prizes, First Degrees and Diplomas for Faculties of Agriculture, Arts, Basic Medical Sciences, Clinical Sciences, Communication & Information Sciences, Education, Engineering & Technology, Environmental Sciences, Law, Life Sciences, Management Sciences, Pharmaceutical Sciences, Physical Sciences, Social Sciences, Veterinary Medicine, Postgraduate Degrees and Diplomas.